The protection of a USB drive can be very important. Confidential files, if stolen, can be easily misused. This is why several people are now resorting to online programs that offer protection for USB drives. These programs work by linking the USB with a password. A file from the program is installed in the drive. 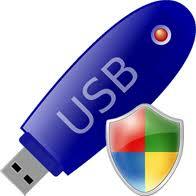 This means that every time you plug the USB drive in a computer, it will ask for a password. This will be a requirement even if you plug it into a different computer than the one you created the password on. Because people are so eager to protect their personal data, there are several protection programs available. The genuine ones have now mixed up with scams, which is why you may find it difficult to choose one. When looking for a program to protect your data, there are a number of things you must keep in mind. For one, you need to decide if you are willing to pay for this protection. Most people are simply looking for free programs. However, those who need to protect highly confidential business data may be ready to pay an appropriate amount of money to receive high quality services. You need to determine if you are one of these people. You can, then, look for programs accordingly. If you are not willing to pay, make sure that you do not download trial versions or basic versions. Such programs usually offer very basic services, while the good ones are only available if you make a certain payment. When you think of a program to protect your USB drive, you probably think that you will simply download a file, create a password and retype it every time you are using the drive. This certainly is the case with most free and basic programs. However, you need to realize that it may get more complicated than that. There are several programs out there that are very difficult to operate. Unless you are fond of computers and know how to deal with complex files, you will find it very hard to understand these programs. Therefore, you must determine the kind of protection you need. Are you simply looking for a password to protect some personal files? If yes, make sure you go for a simple software. On the other hand, if you want to protect highly confidential business files, you should probably get an advanced program and learn how to operate it.